What does Indigenization at Mt.A look like? In 2015, the Truth and Reconciliation Commission of Canada published 94 Calls to Action, which addressed many issues involving Indigenous people in Canada and called the federal government to take action in many facets of Canadian society. One of these Calls to Action was dedicated solely to education, which has been deemed one of the most important parts of reconciliation – though, according to the wise words of Jesse Wente, it’s hard to reconcile something that was never “conciled” in the first place. So, instead of reconciliation, I will be taking up Indigenization and how the idea of Indigenous inclusion applies to Mount Allison. Let’s start with what Indigenization does not mean. It does not mean placing blame on yourself or others who have settler heritage. You cannot be responsible for others’ actions, especially those of the past. All you can be responsible for are your own actions. One of the fundamental steps to Indigenization is recognizing the honest history of Indigenous-settler relations. History is easily distorted by those in power, and it is so important to realize the truth of what has happened in the past to better understand current problems. Indigenous people have been oppressed in numerous ways throughout history, including the installation of the Indian Act of 1876, treaty violations, and residential schools. The main goal of these acts was to assimilate Indigenous people into settler culture, which meant revoking the right for Indigenous people to speak their language, practice ceremony, and celebrate their culture. Since ceasing these assimilation techniques, we have been working diligently to reclaim and embrace our traditional teachings and ceremonies. Although we should not live in the past, it is important to acknowledge and understand these events so we can learn from them. 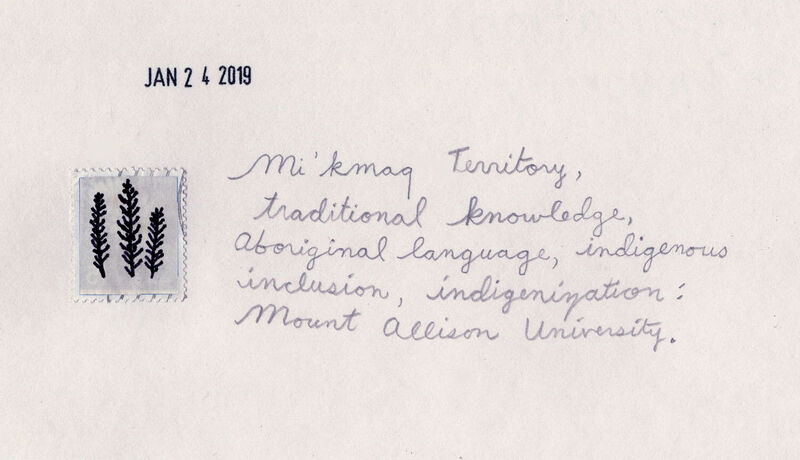 As an educational institution, Mount Allison needs to recognize traditional knowledge along with the modern knowledge that we learn every day. Traditional and modern knowledge are not mutually exclusive, nor is one superior to the other. They can coexist in an academic setting and complement one another. The two perspectives offer different points of view that can enrich the academic environment in which we are engaged. Furthermore, Mount Allison was established on Mi’kmaq territory. In order to be truly Indigenized, we need to recognize and incorporate Mi’kmaq culture and teachings into our current ways of knowing. Another essential element to Indigenization is making university more accessible to Indigenous students. Statistics Canada states that the biggest gap in education between Indigenous and non-Indigenous people is how many graduate from university. Transitioning to post-secondary education can be difficult and daunting. This is especially the case for first-generation students – those who are the first in their families to attend university – who have little support, experience intergenerational trauma, and experience their own struggles and setbacks; this is the case for many Indigenous students entering university. The ability to obtain higher education is invaluable, as it gives students the skills necessary for critical thinking, to enroll in other educational programs, and to get a job. So, not only do these skills benefit the student, but having a diverse student body also enriches the institution itself. Multiple perspectives yield a wide array of ideas and innovations that contribute to the community. We cannot boast diversity and inclusivity without including a diverse array of voices and perspectives. Our university bears the responsibility of delivering the most educational and inclusive environment possible. To reach this goal, we must Indigenize the campus by embedding the knowledge, language, and culture of Indigenous people into the institution. Our university is more than capable of this, and I hope that we can make Mount Allison an intellectual space that welcomes everyone. Kiara Kubar is a contributor to the Argosy.